What Color Is Your Aura? Find Out! An aura is defined as a distinctive atmosphere or quality that seems to surround and be generated by a person, place or thing. 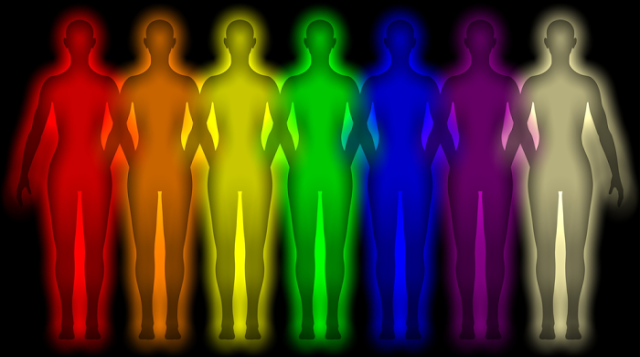 According to mystics, the subtle body aura can be viewed and seen as colors that can tell us certain things about our spirits. you can also find out whether or not your aura is broken and may need to be patched up and healed through mindful meditation and other spiritual practices. The aura is detectable within our minds. You can feel a roughness to the aura around a person who makes you feel a little uncomfortable. Other auras can interrupt yours, especially if they suddenly touch you without your consent or intrude into your space. Finding out the color of your aura can say a lot about you. Take the quiz and see for yourself! 20 Ways To Tighten Skin After Weight Loss..
Is Your Brain More Logical Or Creative? Where Does Your Fat Go When You Lose Weight? 9 Things You Didn't Know About Sperm..
Here’s What Your Chin Shape Says About You!